Br[other]s Skinner and Grosh—Having recently taken a tour in Georgia, I will give you some account of my reception, and the the state of our cause in that region. I left this District on the 10th of July, in company with Mr. Robert F. Coleman and family, of Fairfield [County], warm friends, at whose solicitation I took this journey. * *Robert F. Coleman (1795-c1872) Part of the Coleman family from Feasterville SC in Fairfiield County and the Universalist Church there. Son of John Roe Coleman. In Mississippi in 1835. Possible this is the move that he and his family did to get to Weir, Ms.in Choctaw County. At Washington, Wilkes county, Ga., I found a firm friend, Jeremiah Lobdel, a patron of the Religious Inquirer, by whom, and his family. I was cordially received. ** Washington is about 86 miles southwest of Newberry, SC; Allen Fuller's home at the time. The route from Abbeville SC to Washington was on a well traveled stagecoach road. Jeremiah Lobdell (1784 - 1850) moved to Washington from Connecticut in 1806. The Religious Inquirer was a Universalist newspaper published by Charles Spear in Hartford Connecticut. After passing that place we discovered no professors of God's universal and impartial grace, till we arrived at the Indian Spring, Butts county, which was the termination of our journey. Near that place there were several believers in the truth, as it is in Jesus. Your subscriber, Isaac Nolen, being a family connexion of Mr. Coleman, his house became our home while we remained at the place. On Sunday, July 15th, Thursday, 20th, and Sunday, August 5th, I preached at the arbor erected at the Spring, to large, and, with the exception of a few individuals, very attentive congregations. On Sunday, the 22d, I delivered a discourse, by request, to a Presbyterian audience , after the close of the regular services of the day: but the minister took care to leave the ground before I commenced, although he did not go out of the settlement till after we left the spot. **Indian Springs is 88 miles west southwest of Washington Ga. The area is now a state park, and you can see the hotel (there since 1821) and spring. It was here that the treaty was signed in 1825, 7 years earlier, to open Creek (Muscogee) native land for white settlement in the western half of Georgia and in Alabama. Isaac Nolen (1794-1866) is mentioned on a historic marker in nearby Jackson, as the first Sheriff of the county, at its formation in 1825. He was born in Fairfield County, SC and his wife was Elizabeth "Betty" Coleman (1807-c1880), Robert's cousin?. The Nolen's moved to Chambers County, Alabama, apparently in the early 1830s, and then to Texas in by 1855. It's possible that the Jackson Presbyterian Church in Jackson is the church that Fuller used - it was founded in 1827. Sunday, July 29, I delivered two discourses in a Methodist meeting-house, in Newton county, where there arc a number of Universalists, by whom I was welcomed with joy. The audience was large and very attentive. ** Newton county is north of Butts county. In decades to come, there will be an Universalist Church in Covington. Tuesday afternoon, 31st, I preached at the house of Mr. John Hill, Walton county, (who deceased April 28, last past) a funeral discourse, to a large and attentive audience, although less than twenty-four hour's notice of the appointment was given. Several warm friends reside in the neighborhood where, this meeting was held, who gave demonstration of their approbation, by contributing liberally to my benefit. On Wednesday, August 1, I delivered two discourses in Munroe, the county seat of Walton county, to respectable congregations; to both of which replies were made; and I rejoined. The person who replied to the first, was an exhorter by the name of Baker. He would rejoice to believe the doctrine preached if it were true: but was fearful it would give people leave to go on in sin; urged the hearers to have a conscience void of oflfence; and quoted, as Scripture—" If ye die in your sins, where God and Christ are, ye never can come." I approved of the exhortation to have a conscience void of offense; applauded his benevolent feelings; exposed the absurdity of supposing that the hope of salvation, as the gift of God, could cause us to hate him; and offered him ten dollars to find the passage he had quoted, in the text of the Bible. After I made him this offer, and while exposing his gross misquotation, he left the house, and I saw him no more. **Walton County is north of Newton County. In the future there would be 3-4 Universalist Churches in the county. John Hill (1760-1831) is buried at his home family cemetery - now Ft. Yargo State Park, on land which he bought in 1810. Hill was apparently born in North Carolina, moved to Fairfield County SC circa 1776, and fought in the American Revolution . There were eight Baker households in Walton County Census of 1830, so I cannot say yet which Barker it was. The other discourse was replied to by a person who was traveling, and stopped for the night in the village. If I am rightly informed, it was Rev. William Moderwell, a noted Presbyterian minister, of Augusta, Ga. His reply consisted of a most pompous display of rhetoric, in the description of "the last tremendous judgment," when " the congregated universe" would be called before "the tribunal bar of God," and "the finally impenitent" receive their "eternal doom;" accompanied with a number of positive, but unsupported assertions, uttered in a most solemn and imposing manner. Not an argument, however, was brought forward, nor an objection stated, that had not been fully answered in the preceding discourse. As a specimen of his manner, I give the following from my notes, "We assert that the punishment of the wicked will be eternal;" and "eternal signifies during eternity." '"The Greek or Hebrew language contains no word that expresses endless duration more fully than aionion; the word rendered everlasting in the text"—Matt, xxv: 46. When I re-rejoined, I showed that he had begged the question in the commencement, and offered his mere assertions for proof; assured him that the time had gone by in which the infallibility of the clergy would be admitted; and inquired of him if he knew any such words in the Greek as aphthartos, and akatalutos, and whether they do not express the continuance of duration more fully than aionion, and whether they are ever in the Bible used in a limited sense? ** William Moderwell (1794-1842) He was the pastor in Augusta from 1821-1826, and left the ministry in 1833. At this place I was cordially welcomed by Mr. James Ferguson, a zealous friend. a subscriber to the Religious Inquirer, who gave me encouragement that a society might soon be formed in that county. With him I proceeded, the day following, to a place in the same county, called "Broken Arrow," where I preached to a small number of attentive hearers at 11, A. M. Thence I proceeded to Newton (county), to near where I had preached on Sunday, and delivered a discourse at 4 o'clock, P. M., to a respectable audience; and on Friday preached in the Court-House at Covington, Newton county, to a very large and attentive audience. ** James Ferguson (1800 -c1860s ) apparently the brother of Charles Ferguson, the founder of the very known Feguson potter family. Some of the Fergusons later lived in Jugtown, another Universalist Church site. James had moved from Edgefield SC to Walton County Ga about 1826. The family moved on in 1835, ending up in Muscogee County GA by 1850. "Broken Arrow" is on the maps of the 1860s, halfway between Conyers and Monroe. It's been suggested this is the current "Walnut Grove". After an intermission of one hour, a reply was made to this discourse by Dr. Means, a minister of the Methodist denomination, which occupied two hours, and consisted chiefly in setting up a "main of straw," i. e. no punishment for sin, no distinction between the righteous and the wicked, and then laboring to beat it down again. He made some gross mistakes; among which I select the following. After inquiring whether St. Paul ever heard of the doctrine which seems to be expressed by him on almost every page of his Epistles, he asked, "Did the early fathers know any thing of this system? Inquire of Origen if these principles were heard of in his day? No; they were not known." This gave me so good an opportunity to expose him, and I improved it to so much advantage, that he made an acknowledgment of his mistake. I occupied more than an hour in pointing out his misapprehension of our doctrine, hit erroneous quotations of Scripture, and his incorrect conclusions. Several friends made contributions to me in this and Walton county, besides those above noticed. ** Dr. Alexander Means (1801-1883) President of Emory College for one year, delivered the funeral oratory for President Zachary Taylor. Very short term as preacher, working for the Methodist in their education areas in 1834. On Thursday, August 9, we commenced our return; and on Friday night I had the satisfaction of speaking to a respectable congregation in Greensborough, Green county. And on Saturday night, and Sunday at 9, A; M., at Washington court-house, Wilkes county, I preached to pretty large audiences, which all listened with good attention. Receiving an urgent request to visit Taleaferro county, I returned thither, and on Monday night 1 delivered a discourse in Crawfordsville court-house to a respectable auditory, during which a person, whom I afterwards learned was a preacher, I think of the Baptist denomination, stood and muttered his disapprobation in an undertone so as not to be understood, but still so loud as to cause considerable disturbance, and show his good breeding. In the morning, however, he became sensible of his fault, and apologized to some of our friends. **From Monroe County to Greensboro is about 60 miles, this putting Fuller back in the future I-20 corridor. Greensboro to Washington 30 miles on what is now GA 44 . Then head south on GA 47 19 miles to Crawfordville, back in the I-20 corridor. At 12 o'clock, on Tuesday, I preached again at the same place, to a very large congregation; and after receiving a freewill offering from a few of our friends, and entertainment from Mr. Almond Cobb, I returned about six miles on my way back to Washington, to the house of Mr. Alexander Norris, an elderly man, apparently on the border of the grave, who has long been a firm and consistent Universalist, and, at half past 4 o'clock, preached to a respectable number of people, who listened with attention to the truth. Thence, returning, I arrived in this District on Friday, August 17th, having been absent nearly six weeks, traveled more than six hundred miles during the heat of midsummer, and delivered twenty discourses and several replies; and, by the good providence and blessing of God, I was preserved in usual health to return to my friends in this place. * *Amon Cobb (1795- 1860s) was born in Massachusetts, moved to Georgia maybe in the 1810s. Married late in life, to a woman 24 years his junior. Grocer, and able to retire early. Sons were in Texas by 1880. Alexander Norris (1759 - 1833) born in Maryland. Revolutionary War solider. My have lived in Edgefield, prior to coming to Georgia. Buried off the Sandy Cross Road between Crawfordsville and Washington. In many instances, there was one or more clergymen present at my meetings; and it was my practice, almost invariably, to invite them to speak, by saying, at the close of my sermon—"There is liberty for any one to speak on the subject, either by way of confirmation or objection;" but in no other instances did they reply, besides those above noticed. A large proportion of every audience, I presume, attended out of curiosity, though some had a sincere desire to know whether these things were so; and were disposed to weigh the subject candidly. A few believers in the doctrine taught, were found in almost every place, who rejoiced in the opportunity of hearing the Gospel message; and numbers of others evinced, by their countenances, that they would rejoice in the truth of the good tidings, and that they had some hope that it might be the truth. It was my manner to caution the hearers not to receive any doctrine because I, or any other person, advocated it; but, by all means, to examine the subject for themselves, to search the Scriptures, to exercise the right of private judgment, &c. And I am confident the effect has been to excite a spirit of inquiry, and induce the people to read and examine for themselves. My discourses were, generally, full and explicit on those doctrinal points which distinguish us from other sects. ** Reformed Methodist was a split off of the Methodist movement. 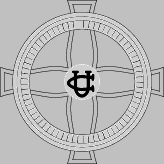 Methodist Episopal was the main Methodist group, now called the United Methodist Church. I have confidence that much good will result from this visit, and the truth which has been promulgated will be as good seed to produce an abundant harvest in due time. When I parted with Mr. Lobdell, at,Washington, he remarked that it was his prayer that my labors might be as leaven which u woman took and hid in three measures of meal till the whole was leavened. Urgent requests were made by the brethren in every section, that I would prolong my visit, and especially, as I would not do so, that I would repeat it. Pressing invitations were also given from several other places, for me to visit and promulgate the truth; but as the time of my return was definitely set, I was obliged to say to them - "If I visit this part of the country again, of which there is some probability, should life and health be spared, I will endeavor to comply with your requests!" May God grant that much good may proceed from the labors which I have been permitted to sustain in the part of Georgia, where few if any, have ever promulgated the doctrine that God is the Saviour of all men. May the influence of the true Gospel save the people from sin, from fantacism, and from all fear that hath torment. In furnishing this account for publication, and in being so particular, I have hnd the object in view to encourage the hearts, and strengthen the hands of our brethren in the South, by having it circulated in that region, by means of our different periodicals, that are there taken. While absent, I distributed more tbsm one hundred copies of sermons and pajiers gratuitously. The cholera is used as a means of exciting the fears of the people, by the Limitarian clergy in Georgia, as well as other parts of our country. Any thing that can be made to produce fear is readily seized by these pretended friends of mankind, and wielded to promote their interest. The reason why Universalism is so violently opposed, is, evidently, because it removes the foundation of those tormenting fears, on which they depend as a means of salvation. It would seem, judging from their actions, that they supposed nothing but fear of endless torment could lead any one to love God; though they are obliged to acknowledge, when questioned on the subject, that the goodness and love of God are the only motives which can lead men to repent and love him. With affection and esteem, I remain your brother in the faith and fellowship of the Gospel of Jesus Christ. Newberry C[ourt] H[ouse], S. C, Avgust 23, 1832.